I know I post enough pictures of amazing dishes Brad makes for me that you all could think that I eat like a queen three meals a day, seven days a week. I guess its almost true, but with Sarah and Steve’s Florida wedding vacation coming up and the recent running/health kick I’ve been on, I’ve also been trying to eat a lot healthier on the days that I work. I know, I know… I should be eating healthier seven days a week. But obviously, when you marry Brad, you’re signing on for the calorie count. It’s one of my top ten favorite things about him. So I’m committing eating healthy and light the four days that I’m stuck in a restaurant that serves burgers, fries, and queso dip. Believe me, this is not an easy task. Eat before I get to work. No heavy, oily, cheesy shift meal for me. No sneaking chips and guacamole or queso at work! No bringing in candy or junk food to nibble on during my shift. No drinking Coke when I’m sleepy. No accepting gifts of delicious fried foods that my favorite dishwasher saves for me. 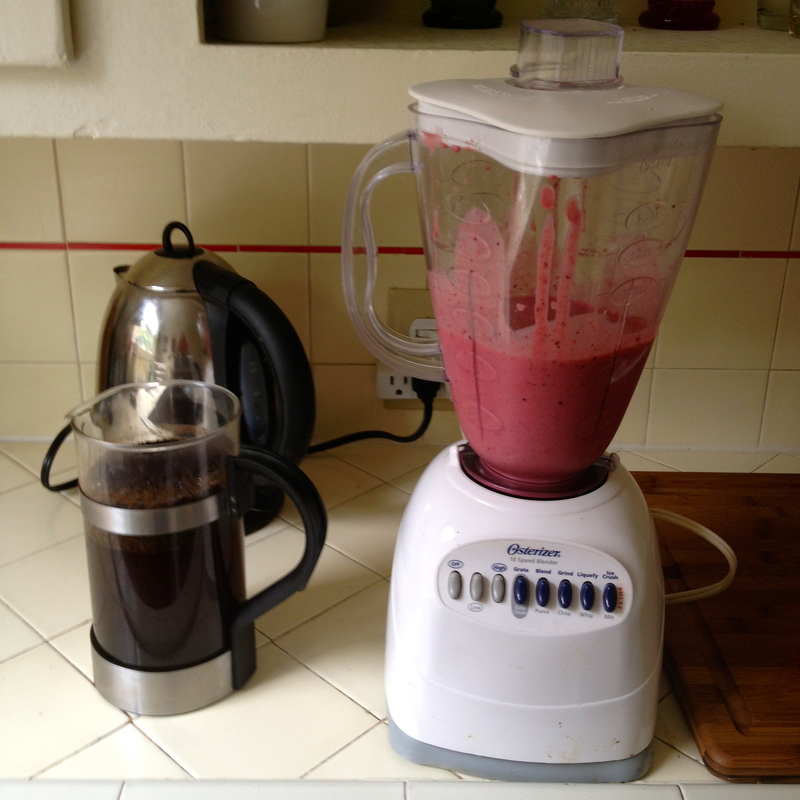 However, along with my new juicer, I have re-discovered my blender and have been making all kinds of fun smoothies. They’re the perfect breakfast for after my morning runs with Gibson, and I try to pack them full of protein to keep me full and strong throughout the day. I had some left over the other morning and I poured it as a taster for Brad. He approved. Now I have to make extra so he can have his own. He has his French press of coffee, a couple of eggs, and a little bit of my smoothie now every morning before he goes in to work. I’m not serious enough (yet?) 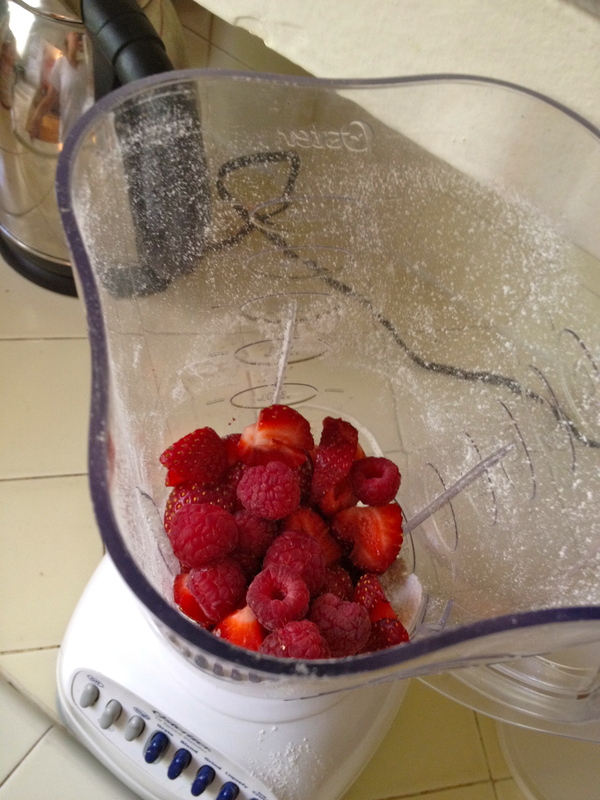 to go out and buy protein powders or Muscle Milk to make my smoothies extra potent, so I’ve been going about it the more natural way and just using what I can find in my kitchen. 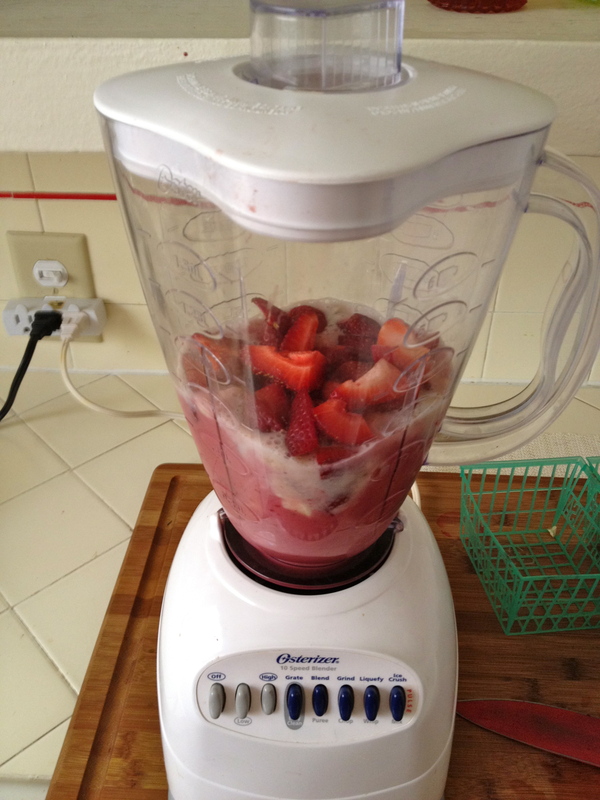 My favorite Smoothie addition so far has been oatmeal, which I was surprised to learn is packed full of Protein. It also makes the drink taste a little like a crushed up granola bar, which I am definitely ok with. 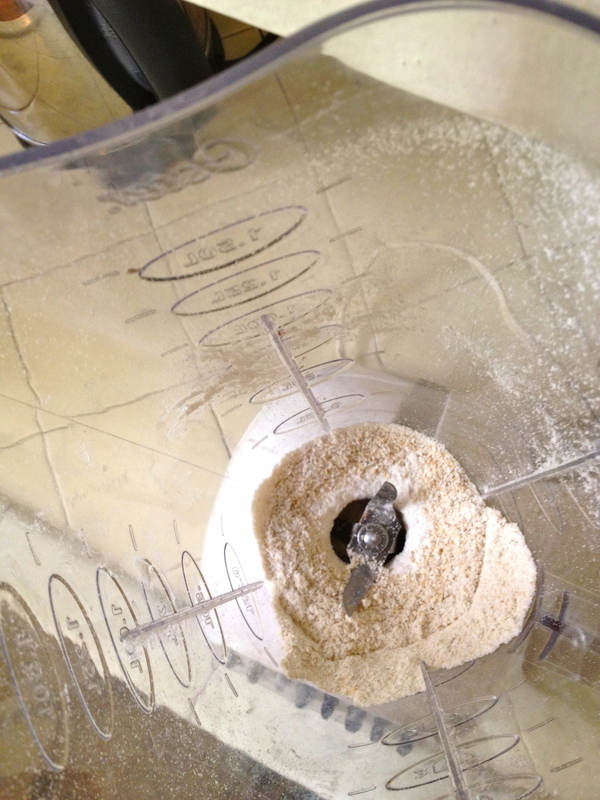 Just make sure you grind the oats up first so you have a fine powder, not big chunky flakes of oatmeal. 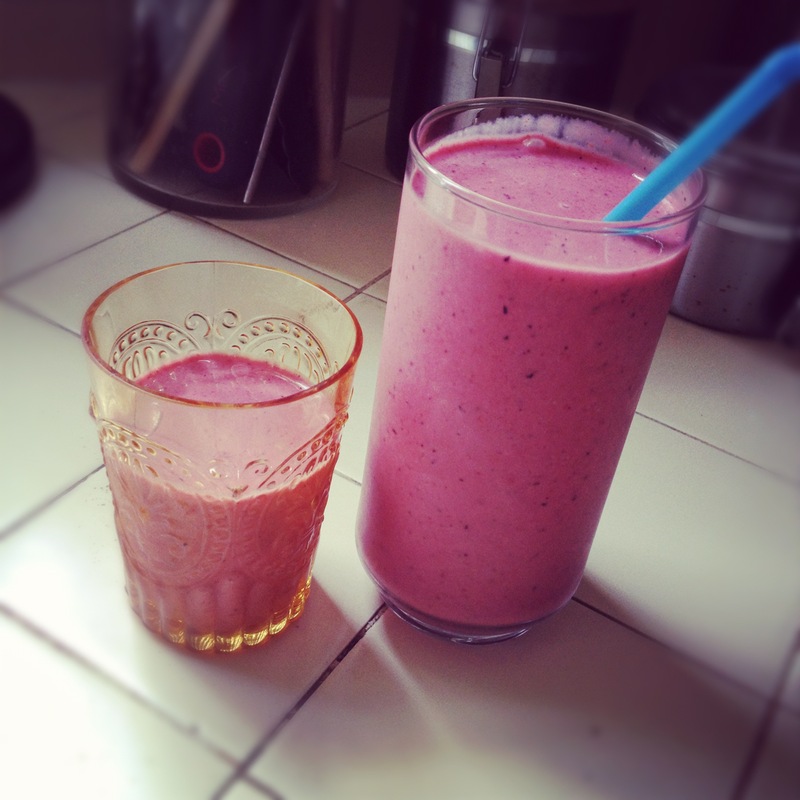 You don’t want to chew your smoothie. I love when I can drink something delicious and it’s also actually doing great things for my body! 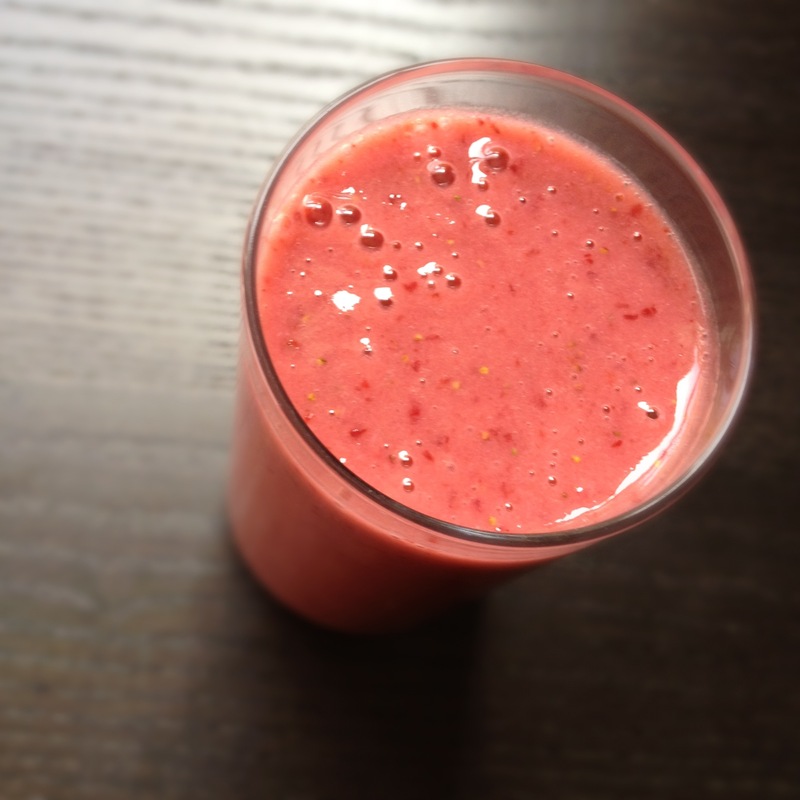 Do you have any smoothie recommendations or recipes I should try next?